Researchers have found that molecules called sulfidic anions may have been abundant in Earth’s lakes and rivers when life first formed. Almost 4 billion years after life on Earth first appeared, scientists are still trying to decode how it happened. Little by little, hypothesis by hypothesis, researchers around the world have made progress, and on Sunday, a team from MIT and the Harvard-Smithsonian Center for Astrophysics reported illuminating facts about the conditions of early Earth — the environment that led to the first traces of life. In their study, which was published in the journal Astrobiology, the researchers expanded on prior reports that a group of molecules, called sulfidic anions, might be integral to the origin of life, said Sukrit Ranjan, a postdoctoral fellow at MIT and lead author of the study. As it turns out, it seems there were a lot of sulfidic anions in Earth’s lakes and rivers about 3.9 billion years ago. The MIT and Harvard researchers concluded that large concentrations of sulfite might have been abundant after erupting volcanoes spewed sulfur dioxide into the atmosphere. 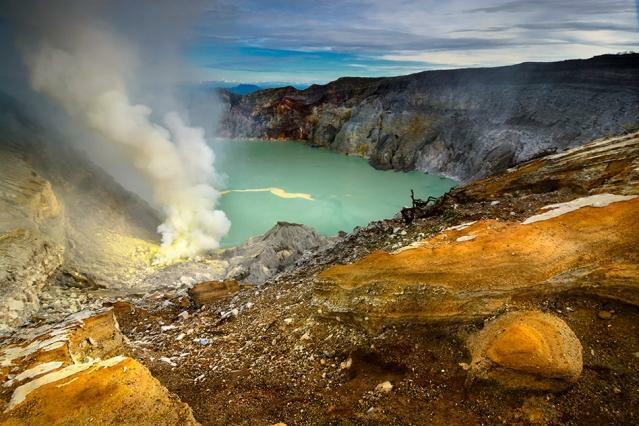 When the sulfur dioxide settled, they dissolved in water as sulfidic anions — or, more specifically, sulfites and bisulfites, according to the study. In the past, scientists have studied sulfide’s role in forming RNA, a genetic building block of life that functions as both an enzyme and a gene, and is thought to be able to replicate itself without the help of proteins — a key to creating new life. Past experimental studies had suggested that sulfides could have promoted the chemical reactions required to convert simple molecules into more complex molecules like RNA. Ranjan’s work showed that early Earth likely did not have much sulfide, but had lots of sulfite, so experimenters then tried their experiments with sulfite instead of sulfide. “What excited us was that . . . when they injected sulfite into their experiment, they found it worked . . . a lot faster, about 10 times as fast,” Ranjan said. The sulfidic anions mainly play the role of electron donors, he said. “If you radiate them with UV light — which would have been common in Earth’s early history because there was no ozone layer — it gives off an electron,” he said. It’s rare that molecular chemistry experts have joined forces with planetary scientists to attempt to decipher the origin of life.